Geospatial knowledge has become important in almost every profession and in private life as well. Satellite images have become familiar due to their extensive use in the media and as background for mapping on the World Wide Web, and web-based software for viewing image data is also widely available. However, much more value can be extracted from image data than simple viewing software can provide. Unfortunately, the software for more advanced processing of remote sensing data tends to be both expensive and to require considerable expertise. "Learning Remote Sensing" offers a straightforward, hands-on treatment of the core concepts in remote sensing and raster GIS analysis. Readers with limited knowledge of physics or geography can use this book not only to acquire an understanding of remote sensing fundamentals but also to begin applying geospatial analysis to their own problems. 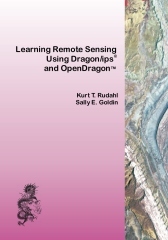 With a target audience that includes undergraduate and graduate students, teachers (especially in secondary schools) and interested individuals, this is a practically-oriented textbook with example exercises that illustrate how the powerful analysis capabilities of Dragon and its free variant OpenDragon can be applied. The book is provides a single, concise, self-contained volume that combines basic theory with practice. The world is experiencing the fourth globalization trend since the collapse of the Berlin Wall twenty years ago. This trend unlike previous ones is characterized by both broader global interconnection and deeper localization. In other words, the world is both flatter and spikier at the same time. The key to a successful development policy is to integrate these two seemingly counter intuitive trends. The solution to this is a more or less regional strategy with a very strong focus on entrepreneurship. While this approach is not new and is not the first, it is the best one that I have seen. The editors of this collection are some of the best informed, most careful and deep thinking scholars in the business and have produced a work worthy of their stature. 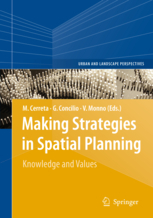 This book discusses strategic spatial planning with emphasis on the role of values and cognitions dynamics within the planning-evaluation interplay. In the book, values and cognitions dynamics are investigated as crucial aspects of planning practices devoted to the development of strategic actions strictly linked to spatial contexts. Different methodologies and approaches are examined to support collaborative decision making and to manage comprehensive and participatory knowledge throughout strategic planning processes. The discussion is carried out from both theoretical and practical points of view. The book also dissects the multiple meanings of strategic planning and its implication in terms of mobilization and creation of values and knowledge. 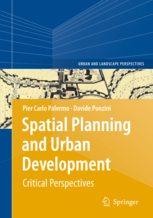 Critical issues are examined in relation to both the dynamics of negotiation and construction of diverse values and knowledge in planning processes, and in relation to some experiences carried out in different urban contexts. This book explores the potential of multimedia to enrich and transform the planning field. By ‘multimedia’ the authors refer to the combination of multiple contents (both traditional and digital: texts, still images, animations, audio and video productions) and interactive platforms (offline interactive cd roms, online websites and forums, digital environments) which are opening up new possibilities in planning practice, pedagogy and research. The authors document the ways in which multimedia can expand the language of planning and the creativity of planners; can evoke the lived experience (the spirit, memories, desires) of the mongrel cities of the 21stcentury by engaging with stories and storytelling; and can help democratize planning processes. The diverse contributions demonstrate multimedia’s potential for layered, complex and open-ended representations of urban life; for enabling multiple forms of voice, participation and empowerment; for stimulating dialogue and influencing policy; for nurturing community engagement and community development; for expanding the horizons of qualitative and quantitative research; and for transformative learning experiences. The book conveys an excitement about the ways in which multimedia can be used by activists, immigrant and indigenous communities, planning scholars and educators, wherever urban policy and planning strategies are being debated and communities are struggling to shape, improve or protect their life spaces. But the authors go beyond enthusiasm for the new, incorporating a critical stance about the power relations embedded in these new information and communication technologies; raising questions about audience and political intentions; and outlining ethical dilemmas around authorship and ownership, collaborative processes, and the politics of voice. Urban planning is a complex field of knowledge and practice. Through the decades, theoretical debate has formed an eclectic set of possible perspectives, without finding, in our opinion, a coherent paradigmatic framework which can adequately guide the interpretation and action in urban planning. The hypothesis of this book is that the attempts of founding an autonomous planning theory are inadequate if they do not explore two interconnected fields: architecture and public policies. The book critically reviews a selected set of current practices and theoretical founding works of modern and contemporary urban planning by highlighting the continuous search for the epistemic legitimization of a large variety of experiences. 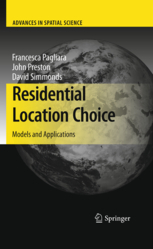 The distinctive contribution of this book is a documented critique to the eclecticism and abstraction of the main international trends in current planning theory. The dialogic relationship with the traditions of architecture and public policy is proposed here in order to critically review planning theory and practice. The outcome is the proposal of a paradigmatic framework that, in the authors’ opinion, can adequately guide reflections and actions. A pragmatic and interpretative heritage and the project-orientated approach are the basis of this new spatial planning paradigm.